The art of sound. Expressed through the best-built tenor horn you've ever held. 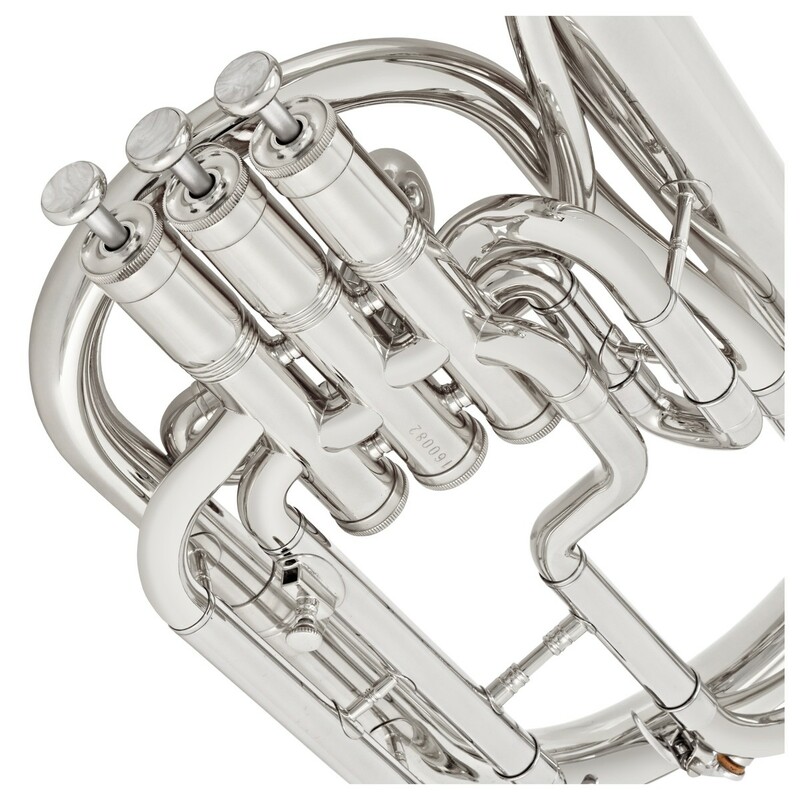 This is what defines the Besson Sovereign BE950 tenor horn in silver plate. 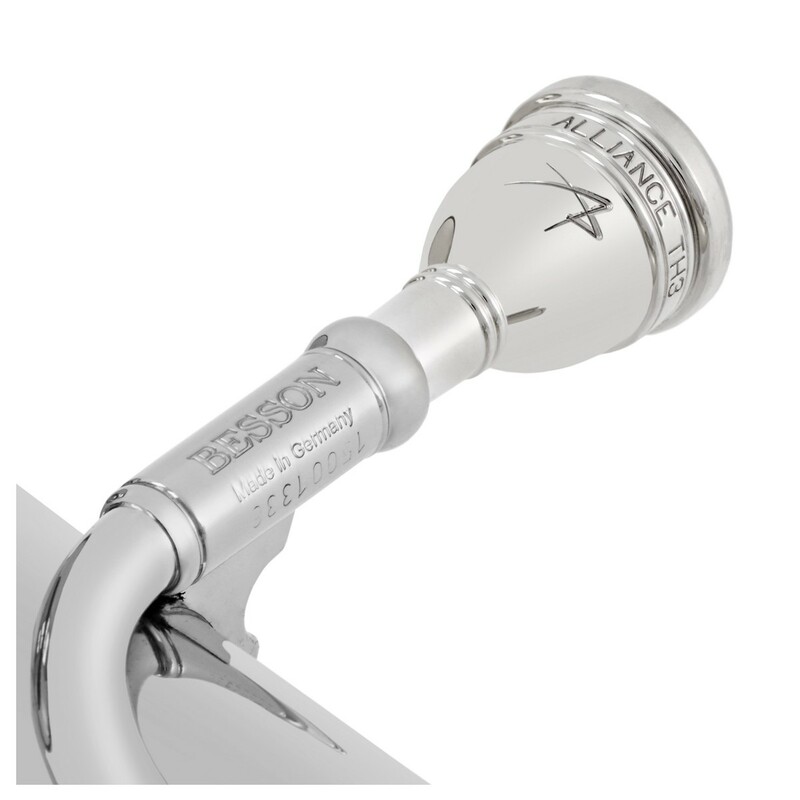 Designed in France and manufactured in Germany, the BE950 is the standard to which all other horns are judged against. Thanks to Besson's meticulous attention to detail, the BE950 tenor horn has a rich and vibrant sound filled with tonal colour- perfect for blending with a brass band. It's this sort of extensive expertise that simply cannot be found with other tenor horns. 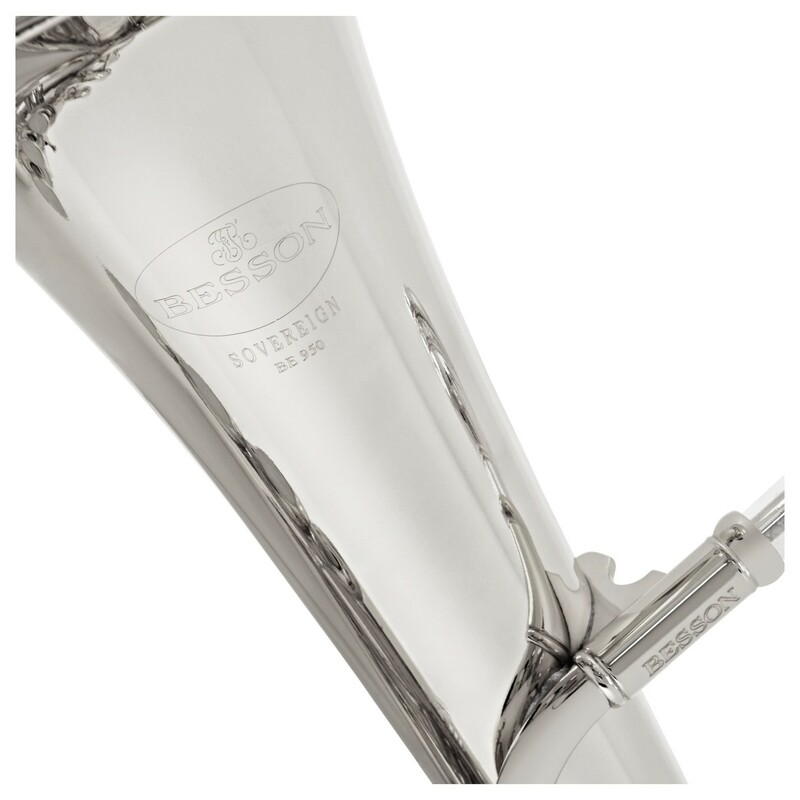 As per all Besson Sovereign instruments, the BE950 horn offers the quintessential British brass band sound. 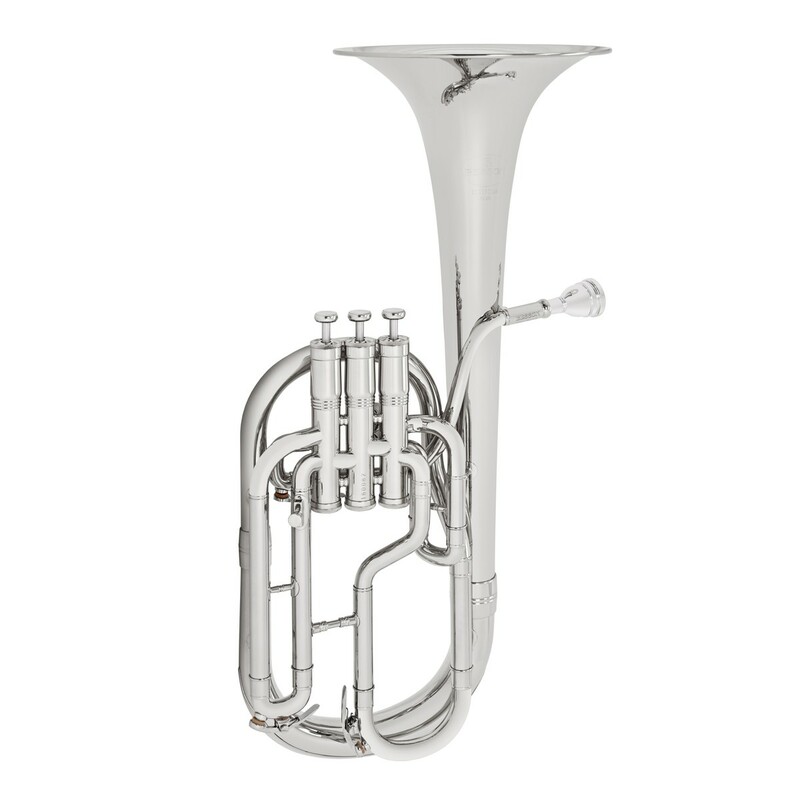 So whether you're marching for Whit Friday, or preparing for the Nationals, the Besson BE950 tenor horn will suit your needs. 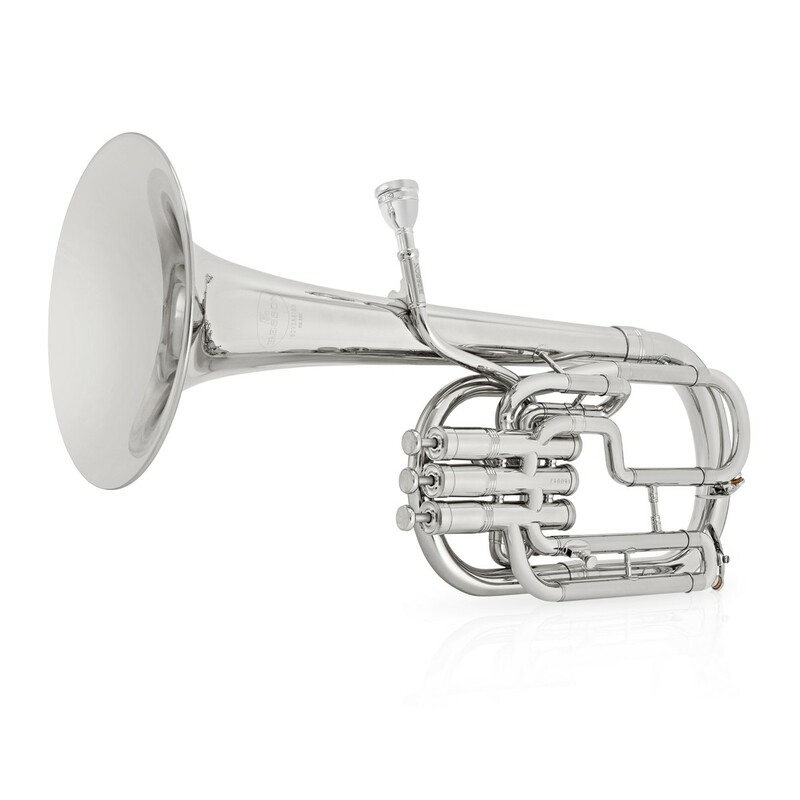 The Besson Sovereign tenor horn has been purposefully designed to suit top-level players. Thanks to the hand-hammered yellow brass bell, its beautiful tone allows for exciting melodic lines - no matter what the dynamic. Yellow brass is the preferred material of choice by musicians who require a versatile tone. This is especially important with the Besson horn, because unlike cheaper models, it's easy to control your tone with a Sovereign. To ensure you have a seamless experience, the valves in the BE950 tenor horn are crafted from monel. This nickel and copper alloy can be found in the majority of premium horns thanks to its resistant properties. Thanks to the dense characteristics of monel, it is more resistant to corrosion meaning they won't flake and are less likely to seize up. Over many years, Besson Sovereign instruments have gained a legendary reputation among the brass band community. Handmade in Germany, all Sovereign instruments are built to be easy-blowing and flexible to play. The sound quality of Sovereign instruments has become the very essence of the brass band tone, and this is why they are the most widely used band instruments in the world. All Sovereign instruments have their own devoted solo players, and even whole sections of the world's finest bands perform on Sovereigns. A premium instrument deserves a premium case. 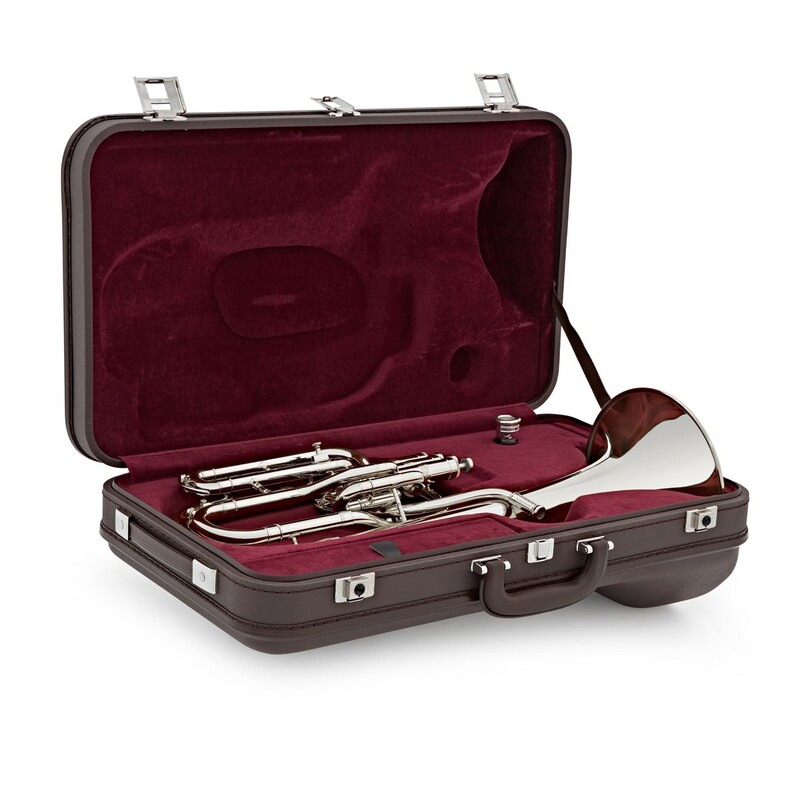 This is why the BE950 tenor horn includes a professional hard case. 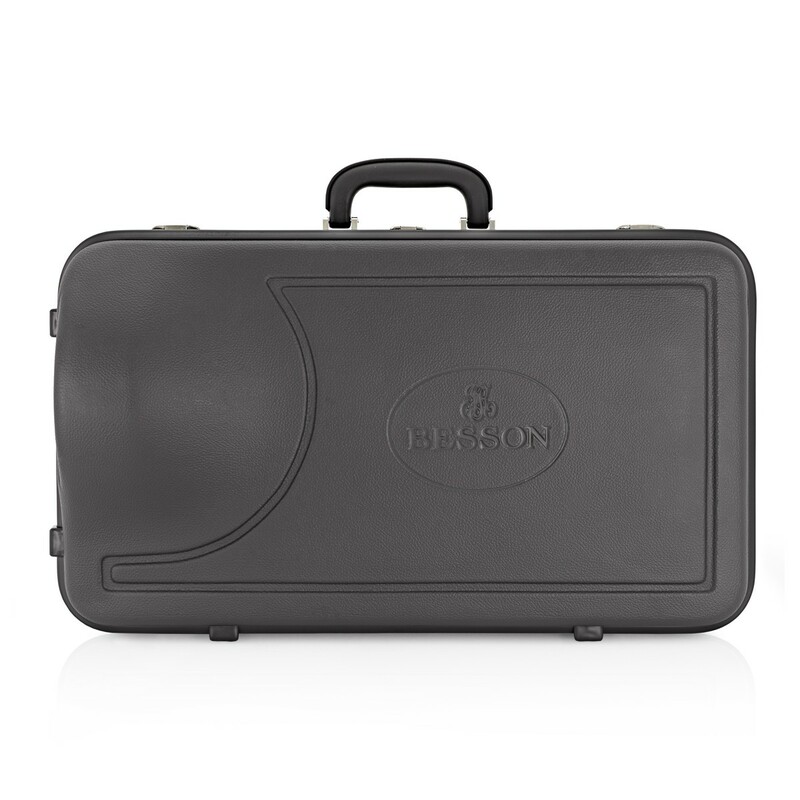 The exterior of the case is made with robust ABS and finished with the Besson logo. The inside of the case is finished with a beautiful soft-touch burgundy material that will keep your instrument gleaming. To ensure that you can start playing straight away, the horn includes an Alliance mouthpiece. Made in conjunction with Dr Roger Webster and Lesley Howie, this mouthpiece offers a great starting point for the tenor horn. At the front of the case, you will find a large compartment which is ideal for storing all of your accessories. Also included is a lyre and a Besson branded micro-fibre cloth so you can keep your instrument looking its best.